Ready To Be Done With That New Berlin Property? Just Complete This Quick Form To The Right! Get Started Here Now.. You Got Nothing To Lose. 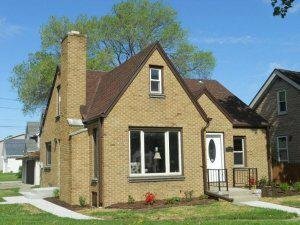 Sell your house fast in New Berlin and surrounding areas of Wisconsin… we’d like to make you a FAIR, competitive, all-cash offer. And we’ll even GUARANTEE* that offer and can have a check in your hand in as little as 5-10 business days. Basically, if you have a house and need to sell it fast… we’d like to make you a FAIR cash offer and close on it when you’re ready. We don’t want to list your New Berlin house – we want to buy it! No fees or commissions – call us today! You’ve tried to sell your house but are running into constant roadblocks. You probably even tried calling a real estate agent in the area. Sometimes selling a house the traditional way with a real estate agent is simply not the best for everyone. As you know, there can be lots of pitfalls when selling a house the real estate agent route, including: having to clean up and repair the property so it shows well, finding an agent who you trust and who can deliver on their promise (selling your house quickly), signing a contract that binds you to an agent for a certain term, the piles of paperwork you have to sign, shuffling paperwork back and forth from buyer –> to agent –> to you… and back. If you prefer to talk to someone in our office before submitting your property information just give us a call today at 1-800-AsIsQuick (1-800-274-7784).